Wouldn’t it be great if there was a way to get one of the world’s richest companies, Google, to “pay” for the data that it collects from you by donating food to a food bank this holiday season? And to do so, for free? If you own an Android phone, we think we have the solution. 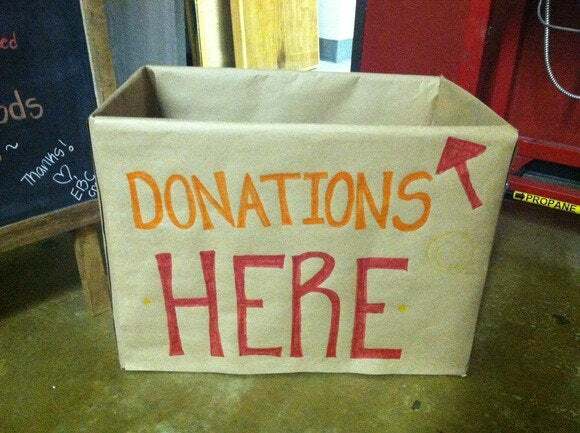 You’ll need a couple of minutes, a credit card (that won’t be charged, if you keep your donation small), and a willingness to help those in need. Keep in mind that this probably isn’t technically a tax-exempt charitable donation, but just a nice thing to do. The secret is a small app that Google launched a few months ago: Google Shopping Express, a local shopping app that serves as Google’s answer to Amazon Fresh or other local-delivery services. If you live in the San Francisco Bay Area, for example, you can use the app to buy a bag of candy from Target, a toothbrush from Walgreens, an SD card from Staples, or an all-natural root beer from Whole Foods. But in typical Google fashion, Google offers everyone a $10 credit to try it out for the first time. And here’s the kicker: you don’t need to live in San Francisco or San Jose to take advantage of the app or its $10 credit, we discovered, and a Google spokesman confirmed. So if you live in Fargo or Des Moines or Wichita or Fresno—marvelous cities in their own right, but not ones where Google will probably roll out Shopping Express any time soon—why not send free food to someone who needs it? First, download Google Shopping Express from Google Play. You’ll need a modern smartphone, with Android 4.0 or higher. The app itself is fairly easy to use, with a list of popular stores and items. Second, find a charitable site to receive your food donation. We'd recommend the San Francisco Food Bank, but you could certainly choose any number of charities and other organizations for the needy. If you do decide to donate to the San Francisco Food Bank, be sure and note the location and donation times (900 Pennsylvania Avenue, San Francisco CA 94107; between 9 AM and 3 PM, Monday through Friday) and what items they need (tuna, canned meat, peanut butter, soup, chili, beans, and canned fruits and vegetables). 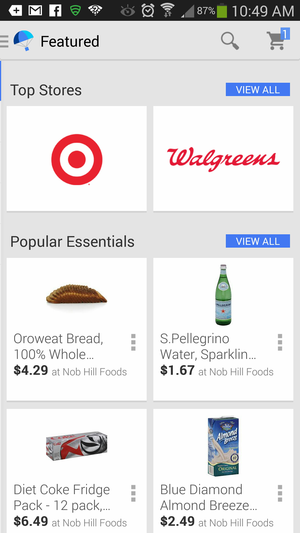 Then use the Google Shopping Express app to find what you’re looking for. (Note that you’ll have to select either San Jose or San Francisco as the shopping destination, which limits you to donations to charities in the area.) Fortunately, Target and Whole Foods offer a number of canned food options; Toys ‘R’ Us is also an option for a last-minute gift idea. 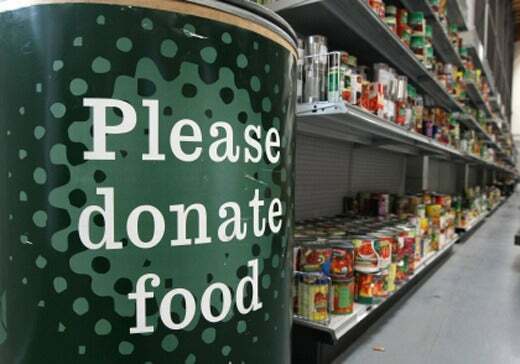 Any number of charities could use food this holiday season. When it comes time to check out, be sure and put the correct address. At this point, you may need to enter a credit card, even if you have a Google Wallet account; that may be because not all of the stores Google buys from accept Wallet. You’ll also need to decide whether you want to pay for shipping, or sign up for the Shopping Express service, which is free for six months. (This doesn’t appear to be one of those services where you’re automatically charged if you forget to cancel; a note within the app says that Google has not decided upon a price for Shopping Express, and it can’t charge you unless it notifies you and you opt in.) If you opt to pay separately for shipping, it seems to be about $4 or so. According to a Google spokesman, the scenario we’ve described above is perfectly acceptable: “donating” via their app helps it gain wider exposure, after all. Meanwhile, Google pays a bit off the top of the billions of dollars in profits it collected last quarter, people get a little more to eat, and you help out people in need. What’s not to like?